Let’s face it, the basic theme of just every single JRPG is to save the world from some sort of evil threat. It’s just the lead up of how you get there that makes the game interesting or not. Tales of Berseria is a nice change of pace for the series and is set around the theme of revenge. Tales of Berseria is the sixteenth installment of the Tales of series (13 if you don’t count the ones that were never released outside of Japan). It is the first game to feature a main female protagonist, Velvet, who isn’t exactly your typical hero. Velvet feels more like an anti-hero with her goal to get revenge by any means necessary. In just the first 30 minutes, you see the world crumble around a 16-year-old girl. She goes from living her typical life of taking care of her sick brother to seeing her whole village transformed into daemons, her brother killed by the person she respected the most, and being imprisoned for three years. Velvet is one of the more memorable characters in the series, especially with how we see her try to cope with everything that gets thrown at her. You see different sides of her which I thought was really well done. The problem is many of the other characters you meet along the way don’t seem to really stand out all that much, leaving them to be more of background characters until late in the game, outside of the occasional skit. Each character joins for their own reasons. Some sharing a similar goal like Velvet and others having their reasons for fighting, even when they know they aren’t exactly doing the right thing. Only two characters other than Velvet stood out for me. Those two being Magilou and Eizen. Magilou feels more like comic relief of the game. At first she seems like someone tagging along for fun, but much later in the game, she becomes a well-written character, never losing her charm. Eizen is the cool mysterious character who is faithful to his friends and someone who will fight for what he believes in. 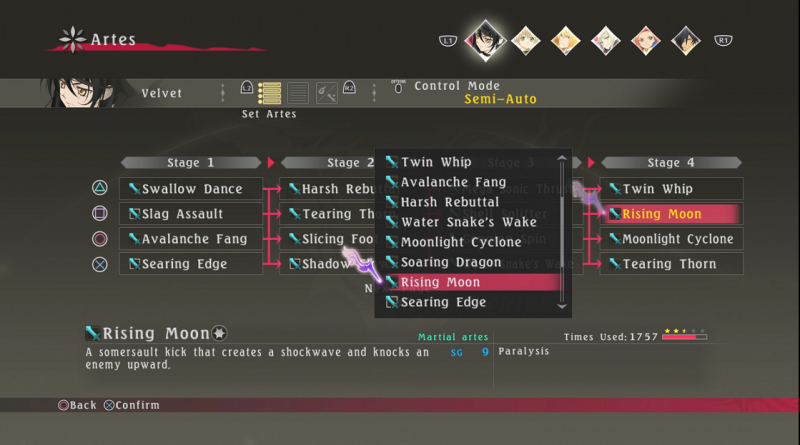 The Linear Motion Battle System, a staple of the Tales series, has seen changes and improvements with each new iteration of the series. 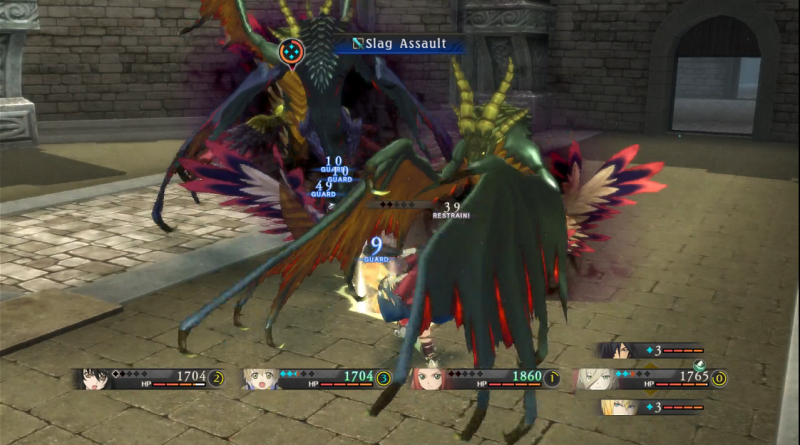 For Tales of Berseria, we get the “Liberation-LMBS”, which is in my opinion, one of the best battle systems to date. Players are able to assign arts and magic attacks (up to 5 for each attack button) to different buttons, which can be accessed by using them in combos. This allows you to create various combos based on your Soul Gauge. You are freely able to create your own unique combos by working your way to stronger attacks, or just put them up front and deal massive damage right away. For me it worked better, especially if you’re using a mage-melee character. As always you can switch between characters in battle; you can also switch between characters not on your active team at the cost of one soul gauge, which plays an interesting role in the game. While equipment is always key to victory, Berseria introduces a new system that benefits you in the long run. Rather than switching to a new weapon or piece or armor with better stats right away, it’s beneficial to max out your points on each piece of equipment since once you do you are able to keep the skill linked to that piece, similar to that one Final Fantasy 9 and making your characters even stronger in the end. There is also a crafting system where you can break down extra equipment and use the parts to strengthen various other equipment you are using. Crafting may sound useful but having both systems in place made crafting feel a bit useless since right after you finish with one piece of equipment you jump to another, sure you can give it to another member but chances are you probably won’t need to because there is something stronger waiting for them the further you play as enemies drop tons of equipment in this game. Tales of Berseria is a great way to show off just what the PlayStation 4 can do, unlike Zestiria, which was originally developed for the PS3 in Japan and ported over to the PS4 in the West. Berseria is gorgeous to watch, the characters are well designed, the occasional anime cutscenes are a great addition and the improved skit system includes character animations to watch rather than the previous titles. You also have an option of listening to the game in either English or Japanese, a new feature in the series. You have great performances from both sides, but overall I felt the Japanese one just had more to it, especially in the later parts of the game. Speaking of Tales of Zestiria, if you haven’t played the game yet, you might just want to finish that adventure before starting Berseria. 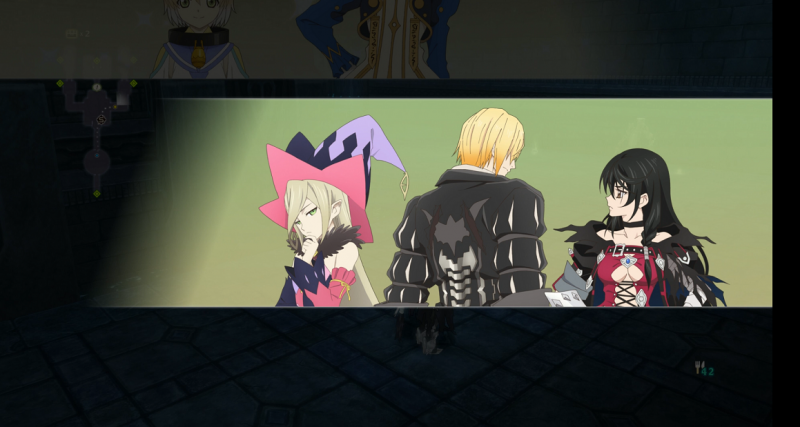 Tales of Berseria is set in the distant past and reveals quite a bit of backstory that makes it worth playing. A few characters from Zestiria also appear in the game, so overall you’re just expanding what you know with the darker twists of Berseria’s story. It’s a perfect addition to the Tales of franchise. 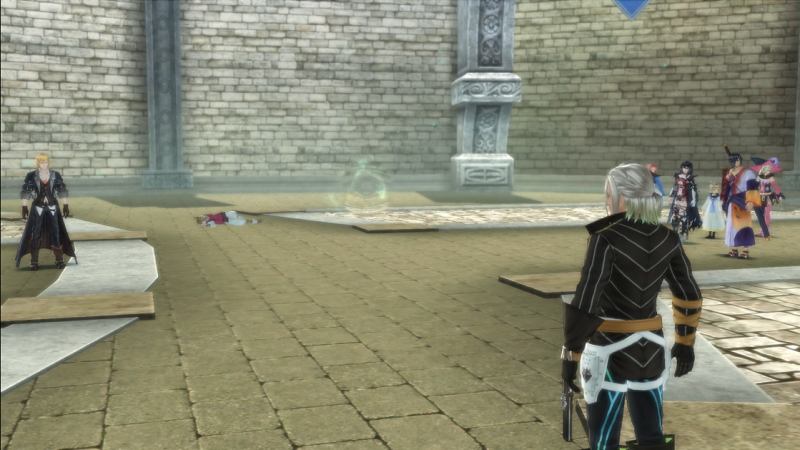 It fixes a lot of issues that Tales of Zestiria suffered from while not taking away from what it had. Gone are the needlessly long dungeons that served almost no purpose. You have a massive world to explore that you can freely travel to, and a few mini-games to enjoy. While it’s not perfect, it feels just right. Sure you have a few annoyances like a mascot character who isn’t as good as past titles, and the bane of my existence, Katz Souls, which are something you constantly need to collect to open Katz chests. It’s something you can easily avoid because it becomes so tedious and annoying how many you need to collect, but it’s there if you like to complete the game with 100%. For me, I just gave up on it. The series has always been finding new ways to keep long-time fans happy and create something that new fans can enjoy. What Berseria lacks in the overall story, it entertains, shows off a darker side to the series and has a nice balance of adventure and action.